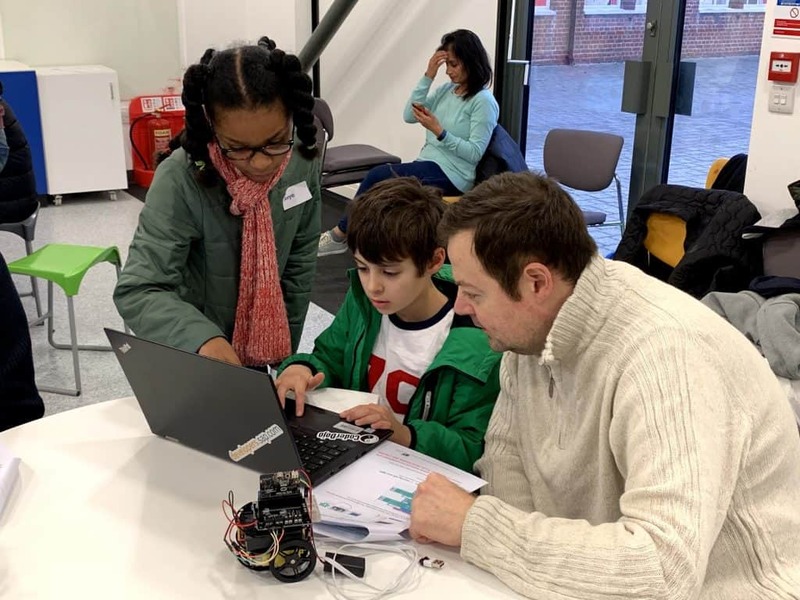 On the 9th of February, I led one of the three robotics workshops at Kingston University CoderDojo. – Ben & Val’s: Introduction to Arduino robotics with the Adafruit robot. 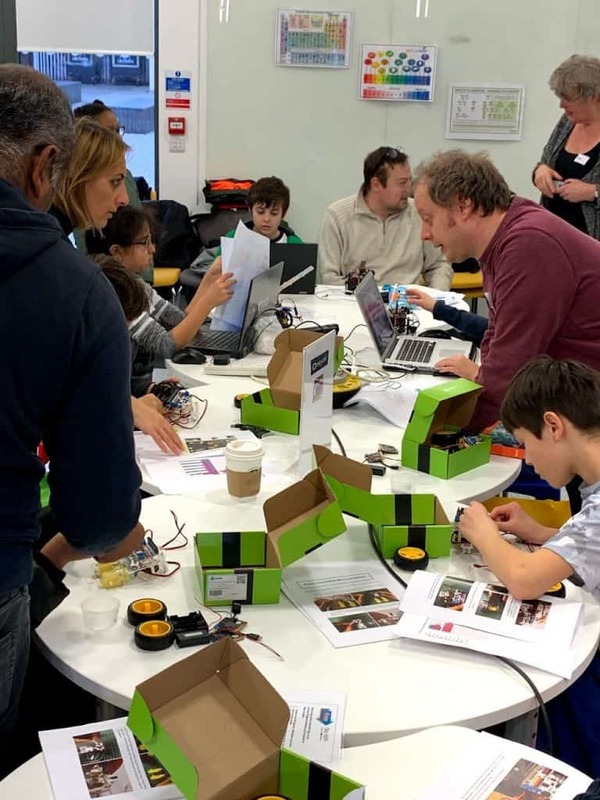 – Danny’s: “The Smart Bot”, a remote-controlled Micro:bit robot. 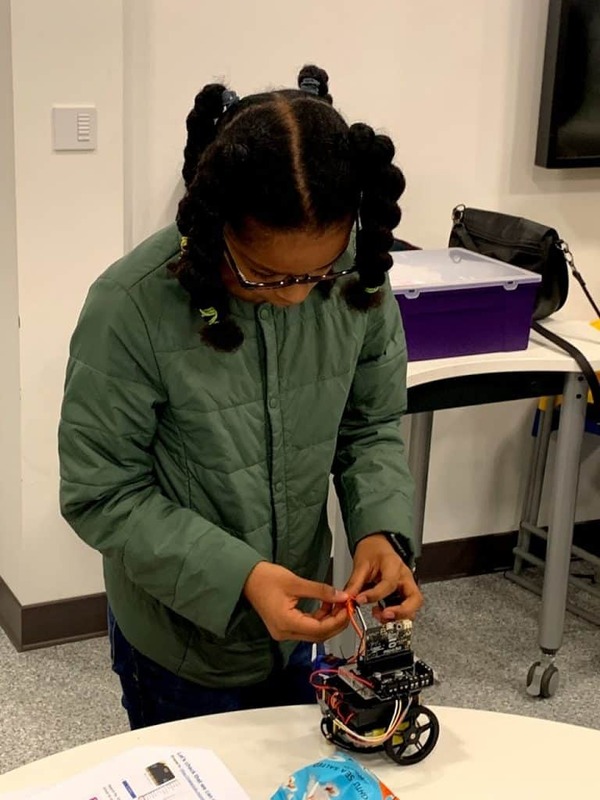 – Mine (Avye’s): Adafruit robot chassis with the Micro:bit & additional servos. My workshop was split up into different stages. 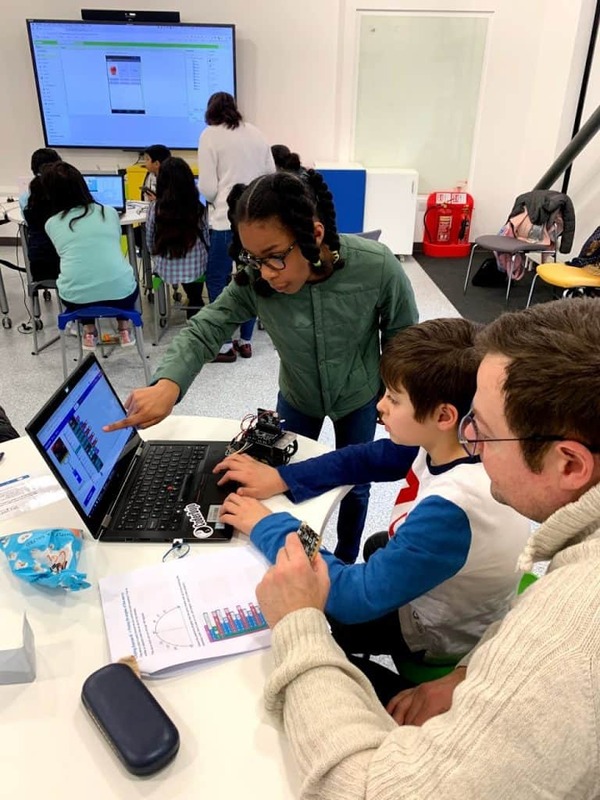 The first part was about programming the robot with the Micro:bit to make it move forwards and backwards. 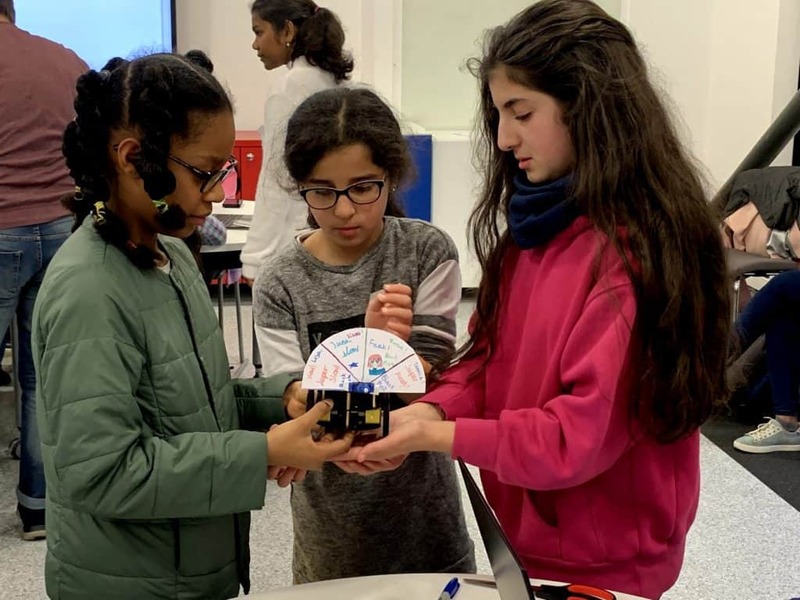 The second part of the workshop was aimed at testing the servos which would act as a speedometer. The code would make the speedometer change to show when the robot is reversing, and when the robot is going forwards. This stage was really fun as there was an element of making & drawing. The students had to design their own speedometers. At the end of each part, the students were invited to do a challenge to test their knowledge. Finally, it was time to combine everything into one! 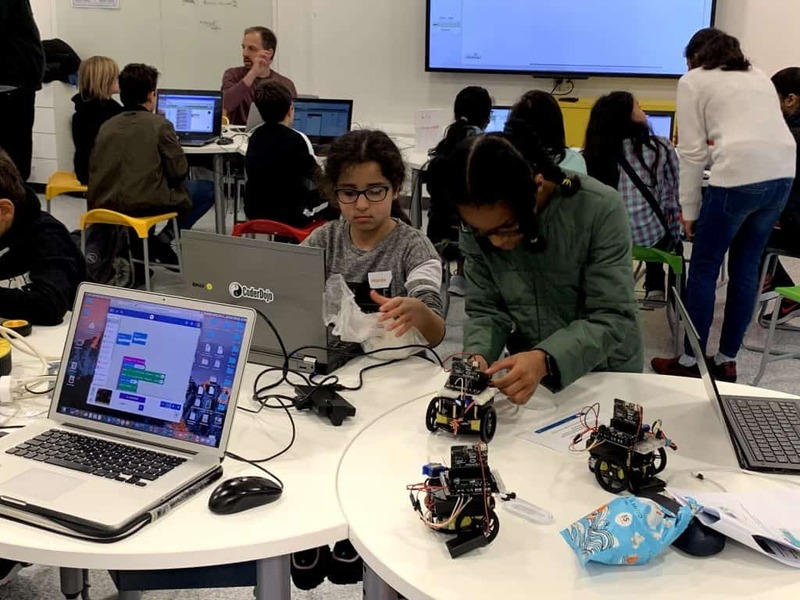 For this stage, the students coded the robot to move at different speeds as well as making their speedometer show how fast or slow the robot was going. An extra challenge they had to do was to code the robot to move in a square; each side of the square had to be completed at a different speed. 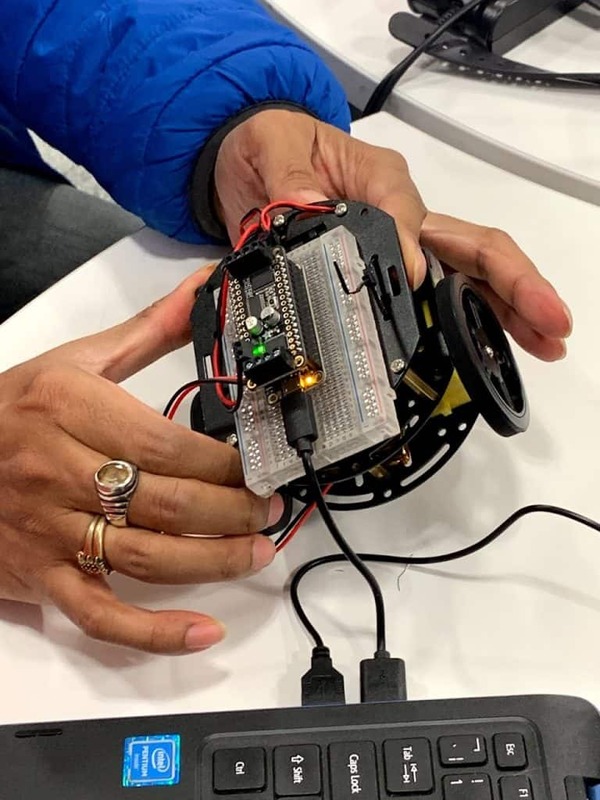 Overall, I think the attendees who joined my workshop were very happy to get their robot working. I was very pleased that two of them volunteered for a Show & Tell. It’s always nice to see how proud they are of their work. Next time, I would love to explore these Adafruit robots more because there are so many cool things you can do with them!